Trees help remove many pollutants from the air and take in thousands of gallons of rain water which helps prevent flash flooding but this can only be achieved when the root system of the tree is able to access it. 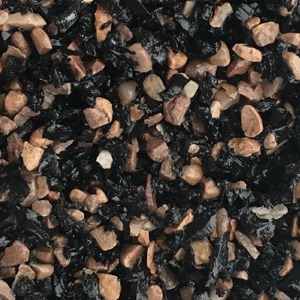 If trees are unable to access air, water and other nutrients due for instance to highly compacted ground or unsuitable surfacing like macadum, they will spread their roots in search of it causing millions of pounds worth of damage to underground services such as water, gas and drain pipes. 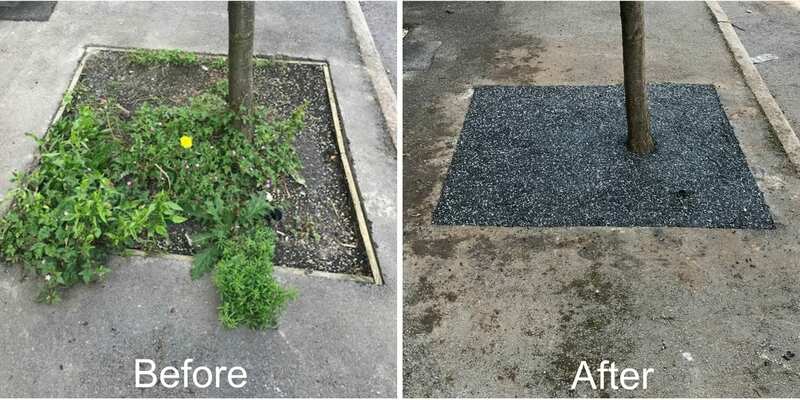 Roots can crack pavements causing trip hazards, which often result in injury to pedestrians and expensive compensation claims each year for cash strapped councils. 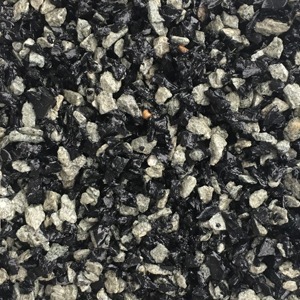 Originally developed for sites with trees under protection order, Trailflex® allows for up to 90-degree flexibility without compromising weight loading or strength making the finished surface adaptable in physical form removing any risk of root intrusion and subsequent cracking. 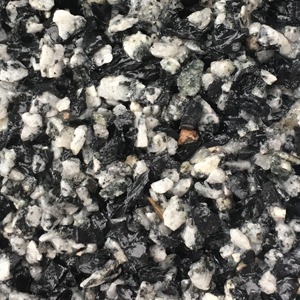 Our unique system of recycled rubber and stone requires very minimal groundworks making it the perfect choice for the protection of roots for new and established trees. The voids formed within the system will hold rain water until it can be drawn down into the tree roots by capillary action. Air and other nutrients are also accessed by the tree in the same way, allowing the tree to flourish. Trailflex tree pits are virtually maintenance free, unlike tree surrounds with loose chippings that often collect debris. 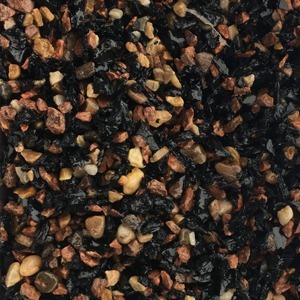 Trailflex tree pits were designed and tested to withstand freeze thaw without cracking. Since the products launch in November 2014 Trailflex® has been utilised on a number of high profile projects across the UK such as The University of York and a 1.5-kilometre installation at New Hall School in Chelmsford.